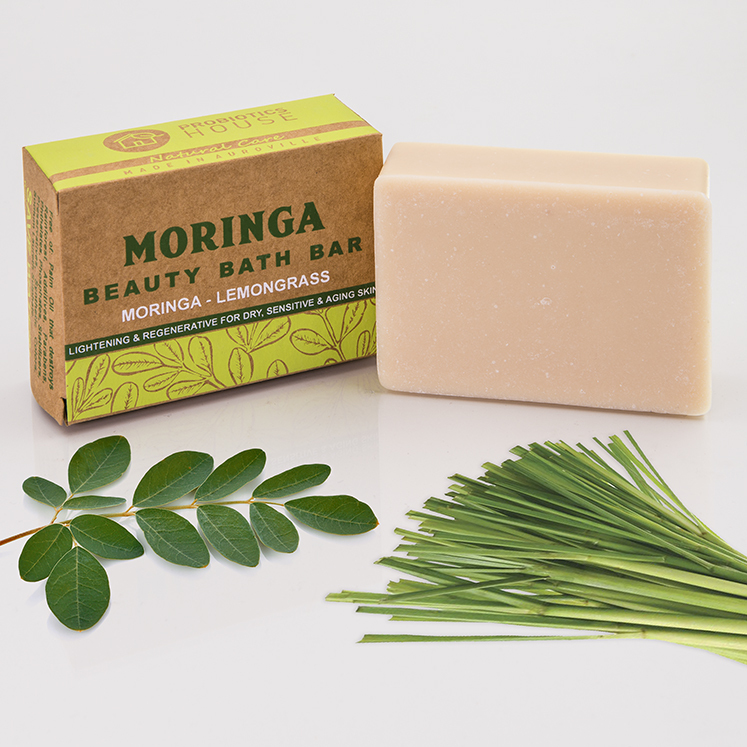 Moringa leaves have many therapeutic and skin purifying properties. It removes impurities from the skin and rejuvenates it. enhances fairness and maintains the natural skin color. Lemongrass is anti-bacterial, anti-microbial and fungicidal. Acts like a toner, minimizing pores of the skin and toning the tissues and muscles. It reduces wrinkles, so use the soap for a toned and clear complexion.